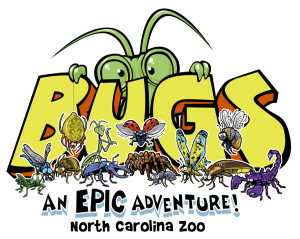 A while back, I was contacted by the wonderful Diane Villa at the North Carolina Zoo concerning a new project they’ve got on the horizon: BUGS! An EPIC Adventure. You see, giant Elephants from Africa and Lions that could tear your throat out and feast on your remains are not the draw they once were. People need something more to attract them to a zoo. Even if it’s one of the finest zoos in the country…even the world. I don’t get it. If you’ve not been to the NC Zoo and you’re nearby, definitely make the trip you will NOT be disappointed. When I was a kid, the San Diego Zoo had a tv show on Sunday mornings. That zoo was so awesomely huge and interesting it warranted a tv show. The NC Zoo is that good. 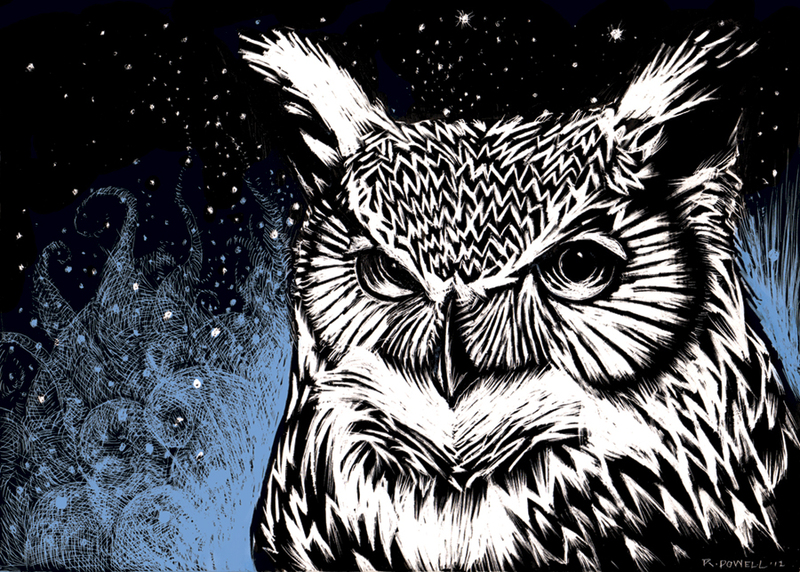 The Aviary alone will blow your mind with its exotic plant life and psychedelic birds. It’s a gorgeous place. But.. if you want to get the parents off the couch, there has to be something different there. The last few years it was Dinosaurs. Now, I never got the Dinosaur thing. I figured they’d be really mechanical and fake like every roadside dinosaur I’ve ever seen in my life so I never shelled out the couple bucks extra at the exhibit. That was until I was invited by Diane Villa and Adrian Fowler to come see the exhibit and talk about its replacement: Bugs! Ironic, huh? 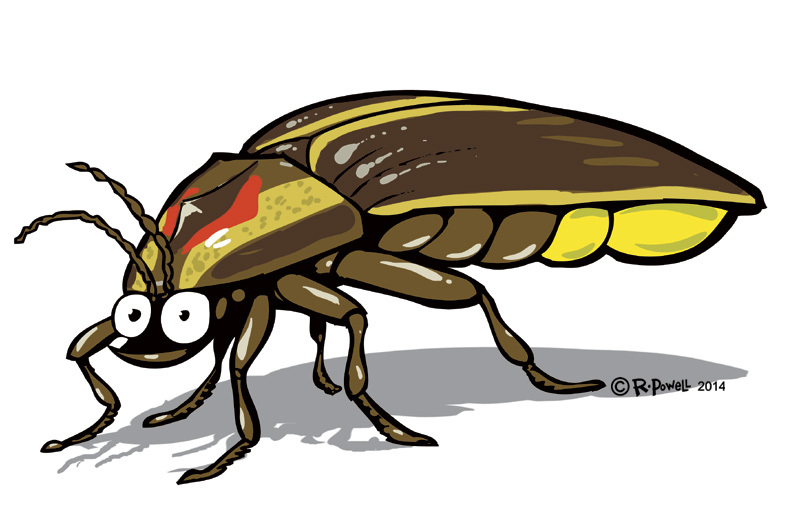 Go from the biggest damned things that walked the earth to the smallest. Well, we went to the exhibit and it was really cool! The things were absolutely silent in their mechanics and incredibly lifelike. When the T-Rex bent down to your level you expected to smell its hot breath. I can imagine it would really make an impression on kids. Here’s a funny thing: One group of folks from somewhere around here demanded their money back…because the dinosaurs weren’t real! Well, the dinosaurs had been there for two seasons so it was time for a change. 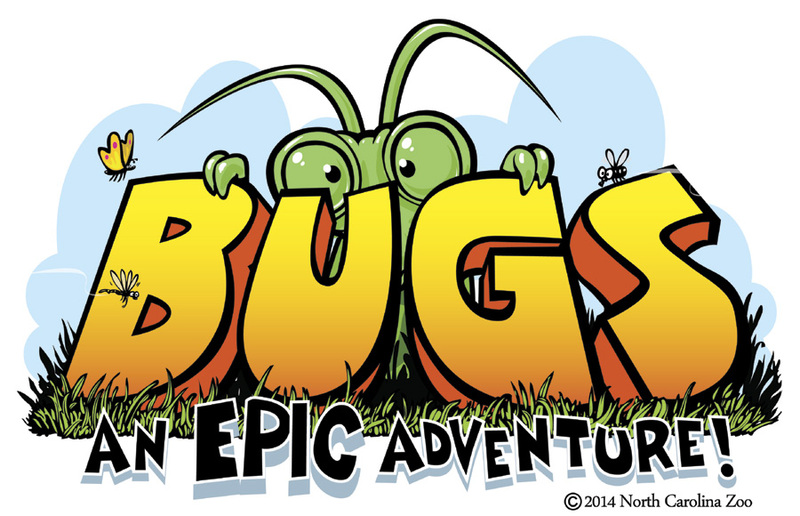 Billings Productions (the folks who created the dinosaurs) put together some Giant Bugs. They’ve already appeared at the Chester Zoo in Great Britain and the NC Zoo scored the next appearance. 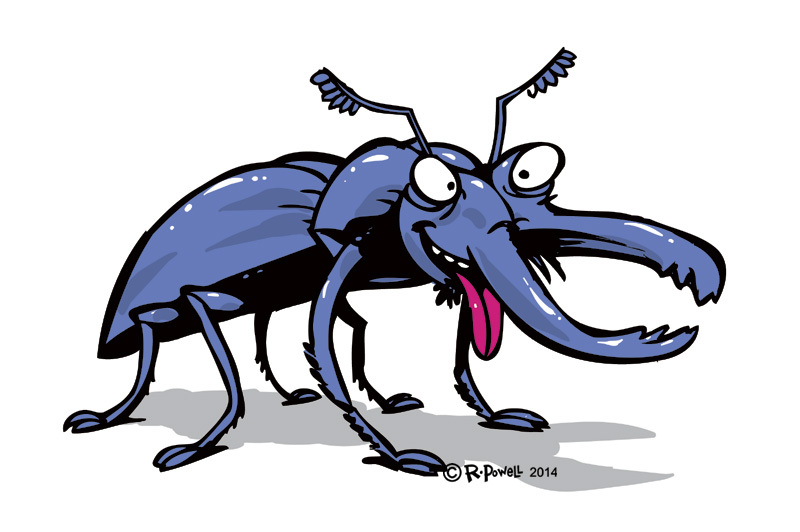 There’s a 30′ Tarantula, a Praying Mantis, a Scorpion and many more. Terrifying, right? That’s why Diane contacted me: to take a little of the terror out of these enormous things and design some cute versions for marketing purposes. Thanks Diane! 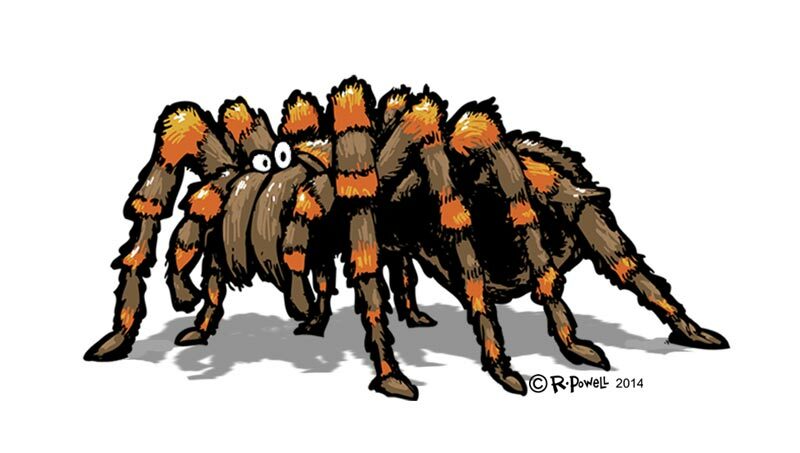 And the Tarantula. 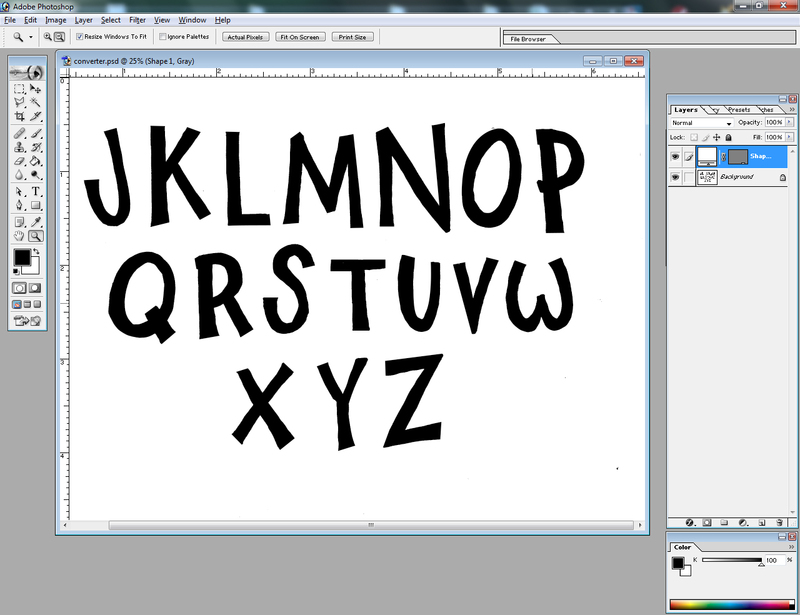 The tricky part was creating them in vector form. It made the hair hard to render and I sort of miss the sketchy aspect of many of my character designs. This is the Logo that Diane and I came up with. She decided to make to make the Mantis the “Spokesperson” for the rest of the bugs. 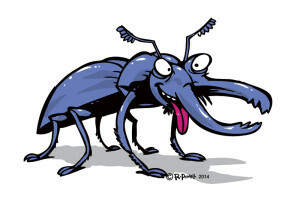 I hear they’re giving each bug a personality and may use voice actors as well! The project was fun and I considered it an honor to be chosen to work on it. I’m very grateful to Diane for thinking of me. I hope you folks get a chance to come by the Zoo this summer and check it out. I’ll probably have a blog post in the future revolving around the installation of the models. Can’t wait! 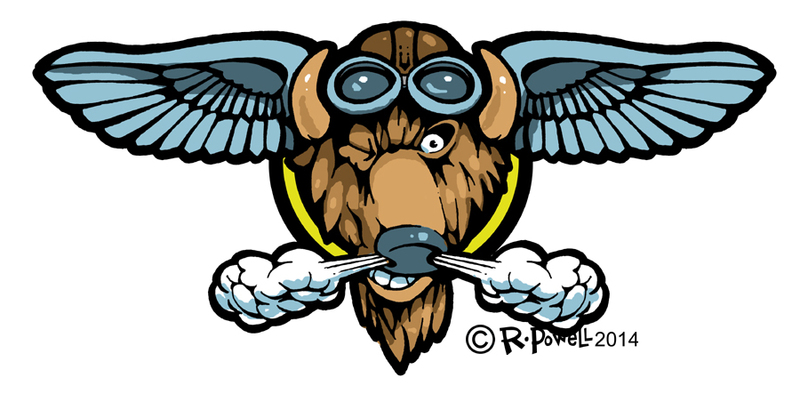 Next story The Flying Booofalo! 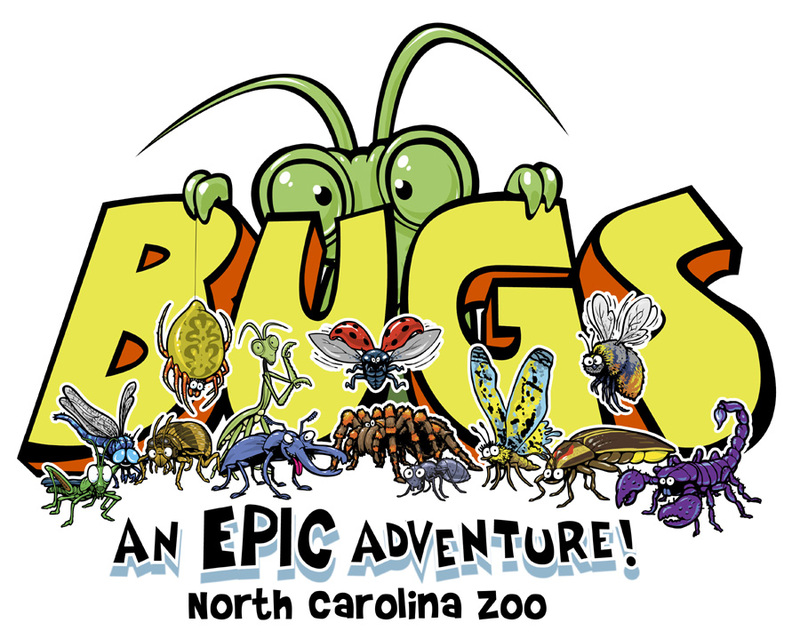 I don’t want to bug you folks but my pal and favorite cartoonist has got some new stuff going on with the North Carolina Zoo. It’s all about creepy, crawly things and it’s certainly worth checking out! The spider, big and hairy, is perfect. That’s how most people see any spider…even if it is skinny, sticklike, and nearly dried up. Great job!